This versatile multi use product offers quick, safe treatment for dry patch areas, and is totally compatible with Primer Select. 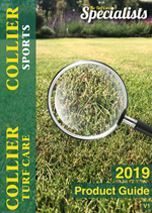 Aquatrols Revolution has unique wetting agent technology, enhancing natural antioxidant activity and increasing stress tolerance in all soils and turf types. A new sprayable formulation which can be tank-mixed with other products. Patented technology gets water into fairways quicker and faster that any other penetrate products. 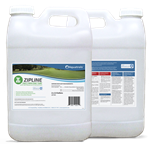 Zipline is a soil surfactant that contains cutting edge proprietary technology specifically designed to aid turf care professionals consistently deliver fast, firm, fine turf by balancing hydration deep into the rootzone with the added benefit of soil resource enhancement powered by AquaVita Technology.